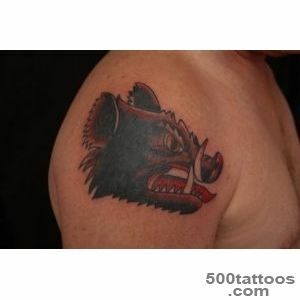 Kaban is a wild forest animal is a symbol of ferocity , leadership , strength and militancy . 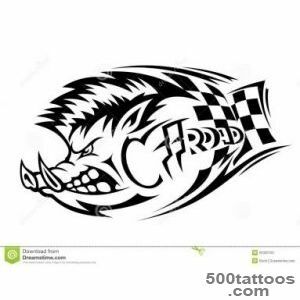 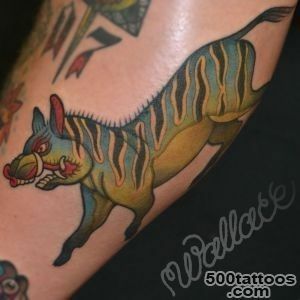 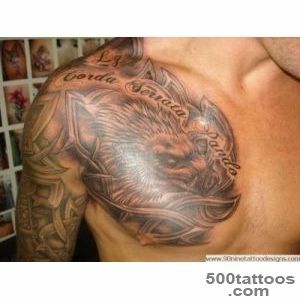 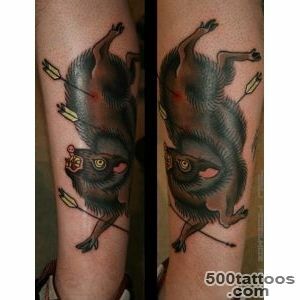 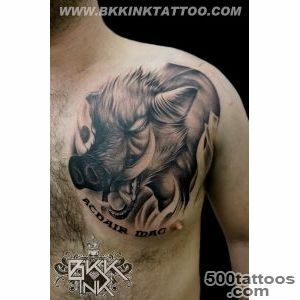 Probably tattoo boar, implying a central element of the animal , represent certain qualities of its owner. 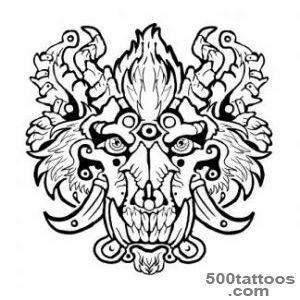 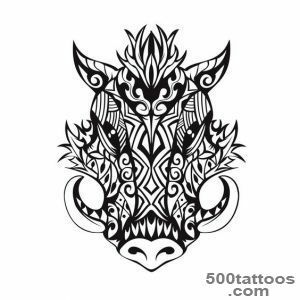 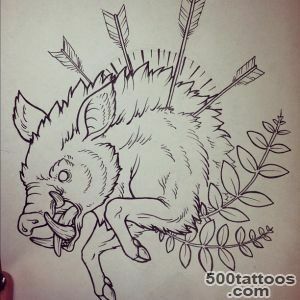 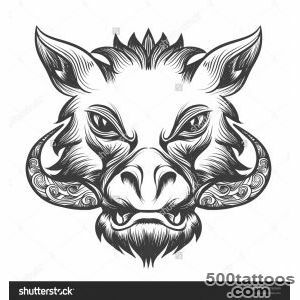 In various cultures, wild boar was considered a manifestation of the dark forces , which confer great spiritual and physical strength .When the boar's head is depicted in the form of tattoos , it is considered an amulet that protects against dangers , gives health and strength. 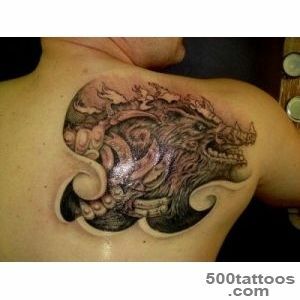 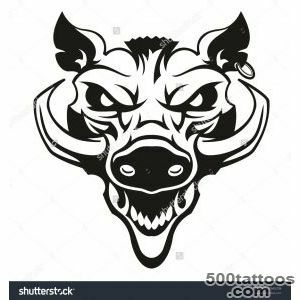 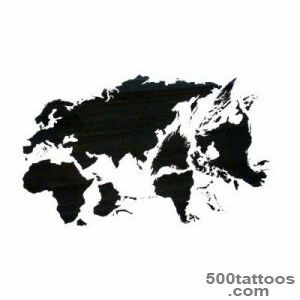 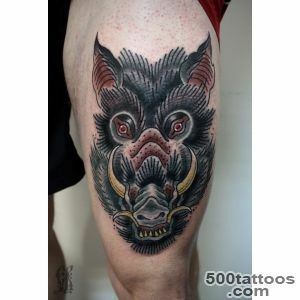 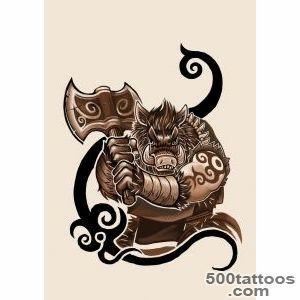 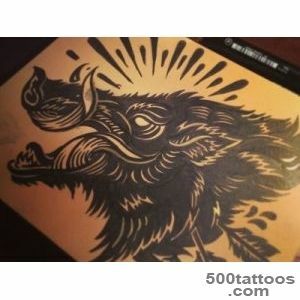 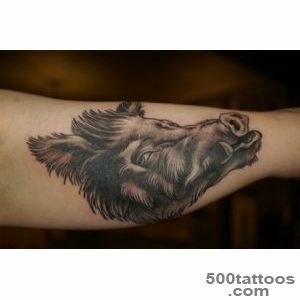 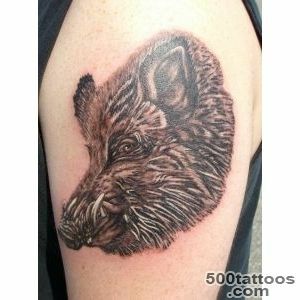 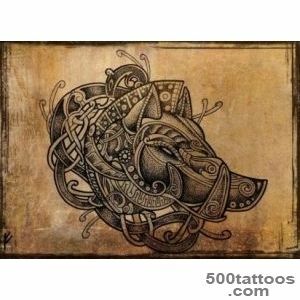 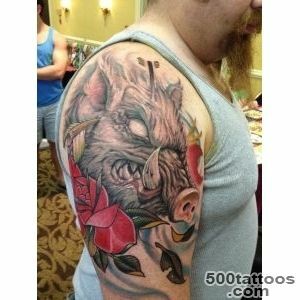 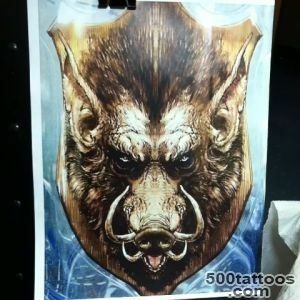 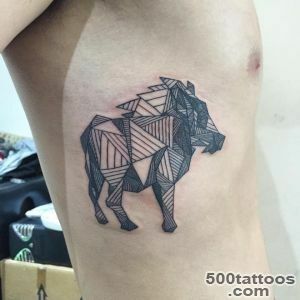 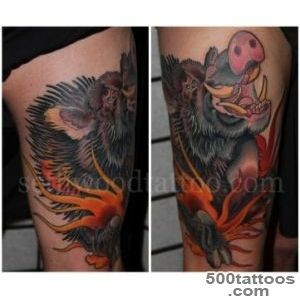 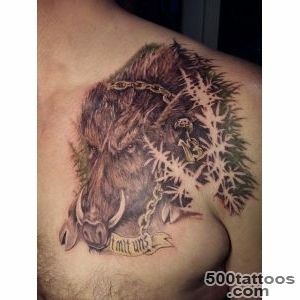 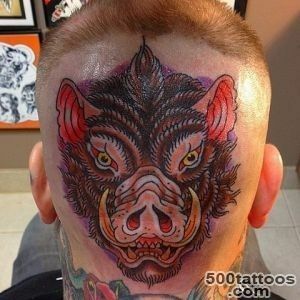 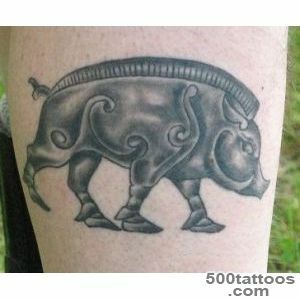 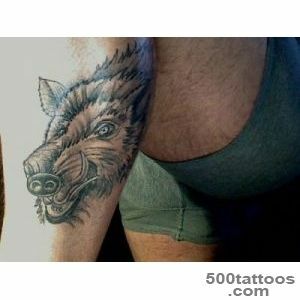 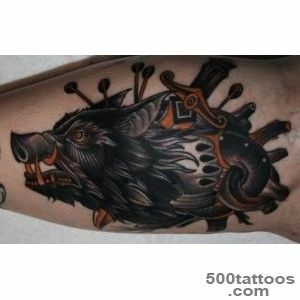 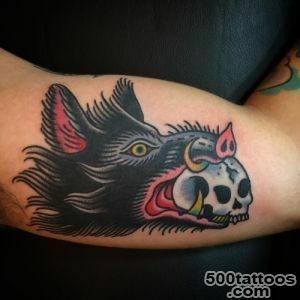 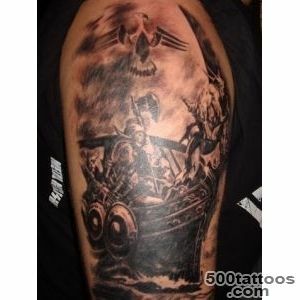 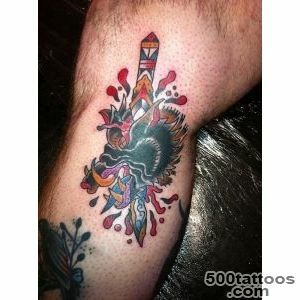 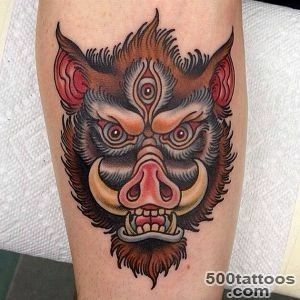 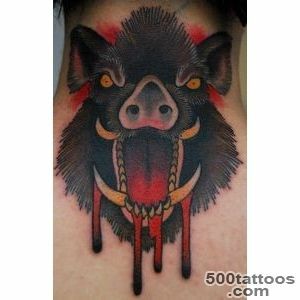 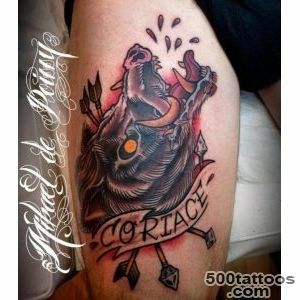 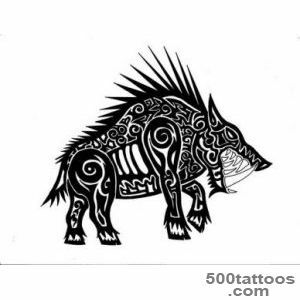 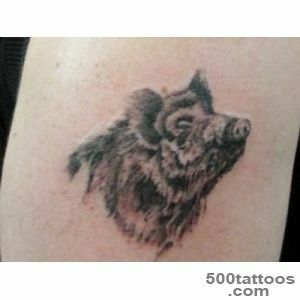 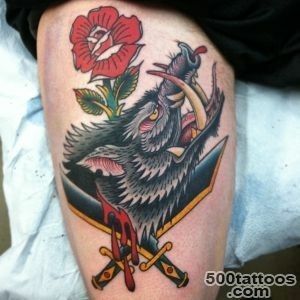 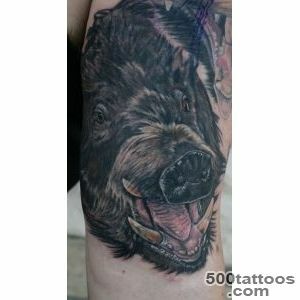 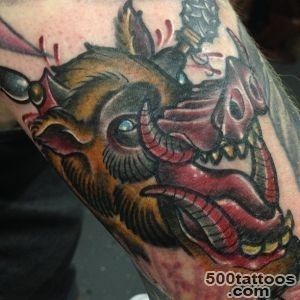 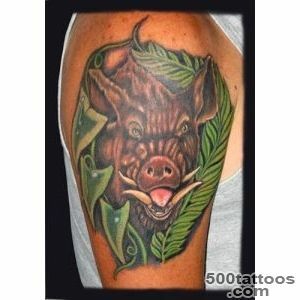 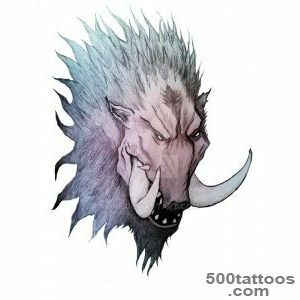 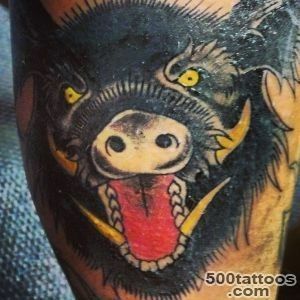 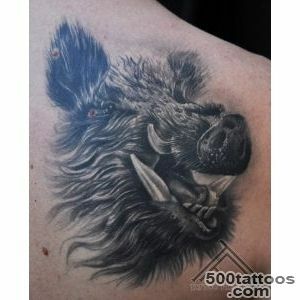 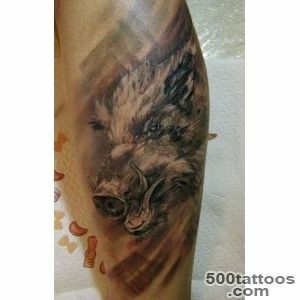 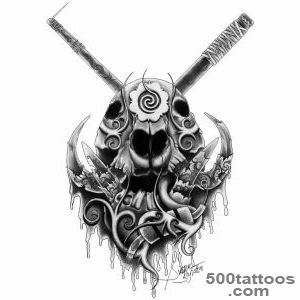 It is obvious that a tattoo depicting a boar is exclusively male , and often demonstrates militancy .